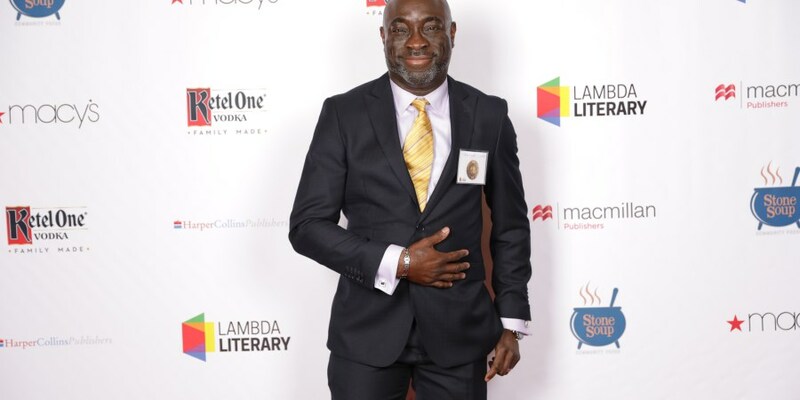 Chike Frankie Edozien is a Lambda Literary Awards 2018 winner in the Gay Memoir/Biography category. The announcement was made at a ceremony hosted in New York City, USA on June 4, 2018. The Lambda Literary Awards or the “Lammys,” as they are affectionately known are an award of Lambda Literary, the United States oldest and largest literary arts organization advancing LGBTQ literature are in the 30th year. The awards are given in the categories of Lesbian Fiction, Gay Fiction, Bisexual Fiction, Transgender Fiction, LGBTQ Nonfiction, Bisexual Nonfiction, Transgender Nonfiction, Lesbian Poetry, Gay Poetry, Transgender Poetry, Lesbian Mystery, Gay Mystery, Lesbian Memoir/Biography, Gay Memoir/Biography, Lesbian Romance, Gay Romance, LGBTQ Anthology, LGBTQ Children’s/Young Adult, LGBTQ Drama, LGBTQ Erotica, LGBTQ Graphic Novels, LGBTQ SF/F/Horror, and LGBTQ Studies. Previous winners include Chinelo Okparanta for her novel Under The Udala Tree in 2016. This year there were three publications written and edited by Africans which were in the running for the awards. The three were written by Chike Frankie Edozien in the Gay Memoir/Biography category, Nnanna Ikpo in Gay Fiction, and with the LGBTQ Anthology being represented by Makhosazana Xaba & Karen Martin. News getting to us is that Chike Frankie Edozien won in the Gay Memoir/Biography for his book Lives of Great Men: Living and Loving as an African Gay Man published by Team Angelica Publishing. Theres is a Gay Memoir Category?… Took me a second look to notice that…well. Pingback: Three African books are Lambda Literary Awards 2019 finalists. Previous Previous post: Burundi writer Perpétue Miganda features at #KigaliLit. Next Next post: Poets Dami Ajayi and Umar Sidi meet at Konya Shamsrumi’s #MeetingOfBards.